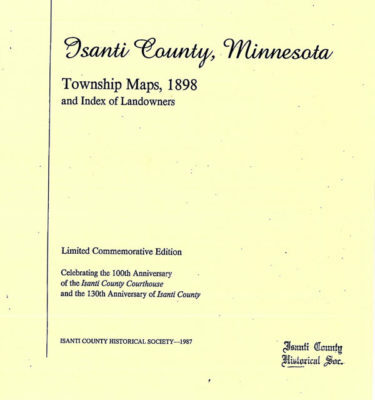 Athens was part of Isanti Township until 1878. The first settlement was made along the river near St. Francis in 1855. John Irving came that year from New York followed by his wife and son the following year. The Bennett brothers came in 1855. Wm. Thompson, Mr. Littlefield and Charles Chandler came in 1856. John Strong, later a member of the State Legislature, came in 1857. Jonas Selin, Hans Dalin and Erick Wallin came in 1865. John Sutter came in in 1868, followed by a large number of Swedish immigrants in 1872 and the years following. Many of the Swedish settlers were from the parish of Rättvik in Dalarna, Sweden and they became part of the “transplanted community” that Dr. Robert Ostergren refers to in his research. The plat of a forgotten town called Ramsey, located on both sides of the river in Athens and Stanford Townships, is on record. Ramsey Island was designated as a public park.